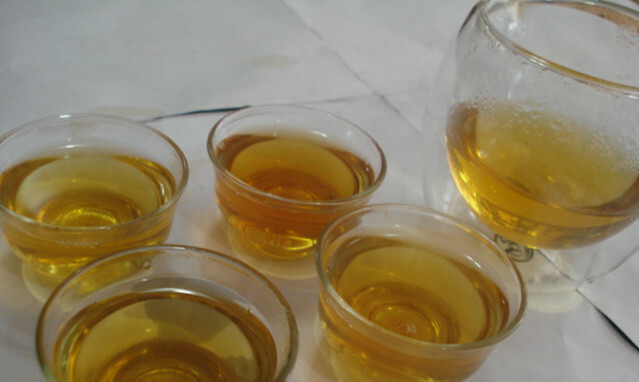 Insect tea, listed in the “Compendium of Materia Medica” by Li Shizhen, is a traditional drink for the ethnic minority in southwest China. Insect tea is made of the feces of insects that feed on plants, and characterized by minimal dose, enjoyable tea flavor, few tea-residues, and superb transparency. Local residents put wild rattan and tea leaves together to lure insects to eat them, leaving the droppings there. People take residue of these rattan and tea leaves out of droppings which is highly named as dragon ball. They fry it in oven firstly and then re-fry it together with teas and honey so that the final Insect droppings tea is ready for drinking. Many people will think it dirty and disgarsting, but it's no so. It has a special scent and tastes a little sweet. After drinking, you will be in a good humor. 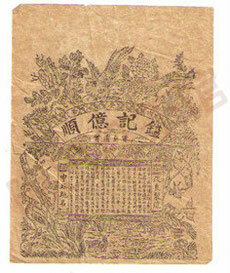 At the same time, it is a healthy drug and can do good to stomache. 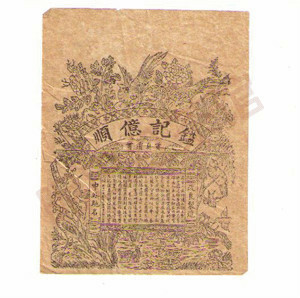 Insect tea also were known as " insect brewing tea", "tribute tea", "pearl tea", "longevity tea", "God of tea", which is the only one of the best natural organic tea which set the essence of animals and plants in. 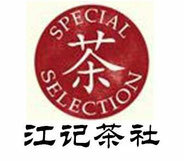 It is praised as "Pure Natural Ecological Drinks" by expert. 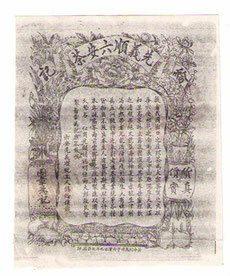 As early as the Ming Dynasty, there are records about the effect of nutrition and health care. Insect tea has been used to clear summer heat, protect the spleen and stomach, and facilitate digestion. Modern research has suggested that insect tea is safe and nutritional, and it has blood lipid lowering, antihypertensive and hypoglycemic effects. At present, due to the household production of insect tea, there are a variety of species of tea-producing insects and feeding plants. Reference amount: Tea 0.5g by adding water 300ml. Specific should be added according to personal taste slightly. Put proper amount of tea into the prepared glass with boiling water over 90 C degrees, and cover the lid. Along with the sinking of the insect tea, strips of sanguine threads release, as if red dragons rove over the sea. 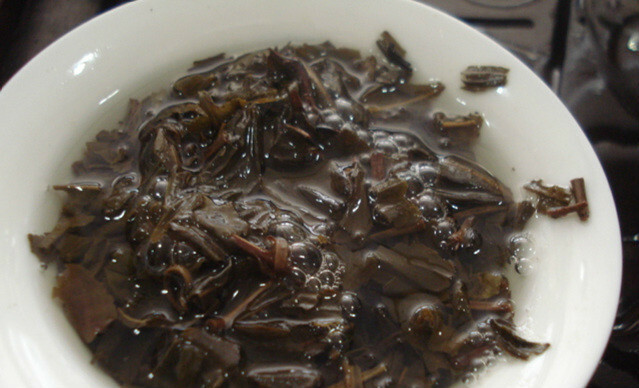 However, when the sorrel tea mixes with water, there are milky flocs appearing in the glass, like white lotus flowers blossoming in the water. 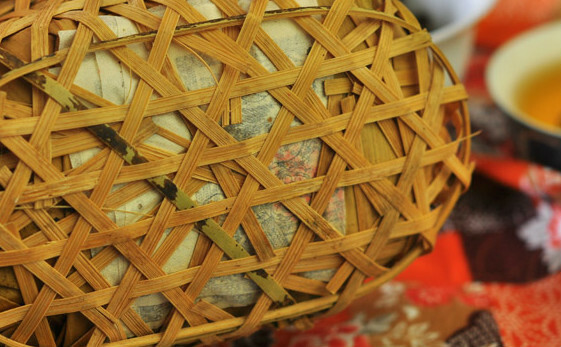 Liu an basket tea is liu an gua pian (green tea) that fired and steamed compressed into baskets for aging. Like most hei cha, liu an begins similar to green tea and is aged to undergo flavor and aroma development via post-fermentation. 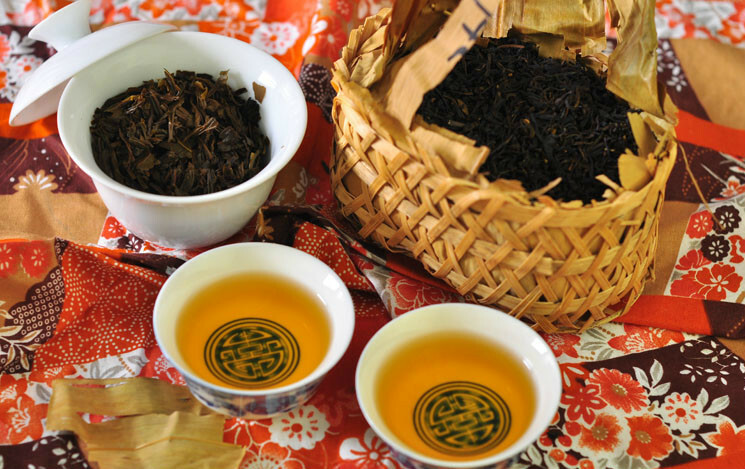 Liu An tea is a famous tea originating in An Hui Province in China. This region has a long tradition of making post-fermented teas like their neighbors in Yunnan province who make Pu-Erh Tea. 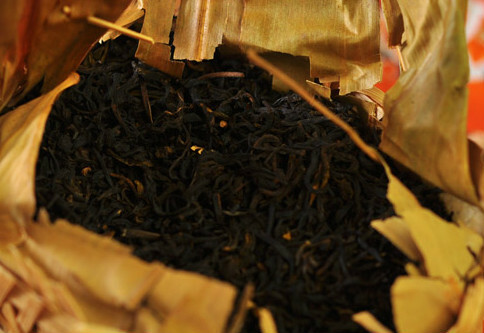 The manufacturing process is similar to Pu-Erh tea and Liu An is a much sought after favourite among tea connoisseurs. The tea is from a small leaf variety of Camellia sinensis. 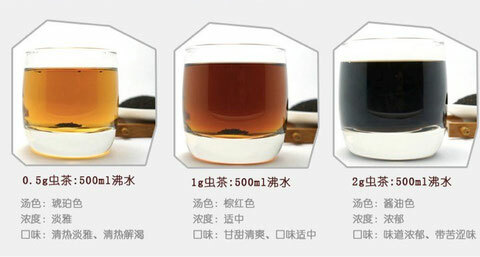 The aging process of Liu-an is even more complicated than Liu An Gua Pian. 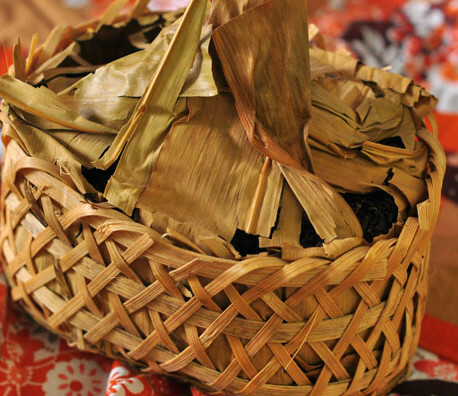 It were baked over a small fire and braized into a small bamboo basket. 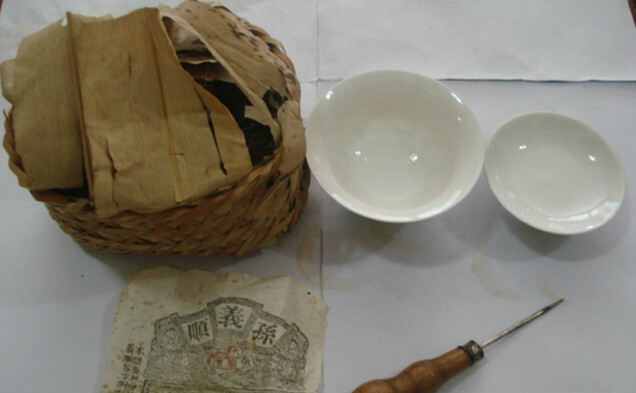 The process and storage is similar to Pu-erh. 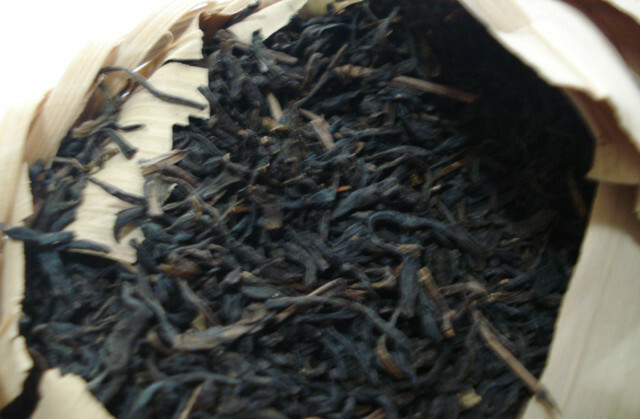 It is a kind of Dark tea..
Liu-an is traditionally brewed by gongfu style. Also it is a tradition to brew a piece of the bamboo wrapping with the tea together. Medicinally, dried aged mandarin orange peel is sometimes added to the tea, though this might add unsavory seasoning to unglazed pots, such as yixing teapots. 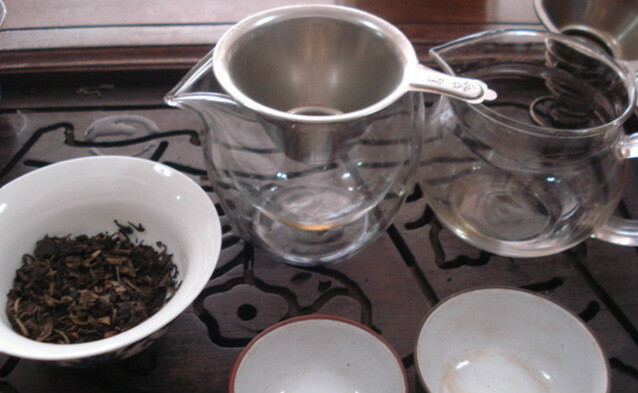 Brewing Guide: Gongfu tea style brewing. Use 194F hot water to rinse the leaves before brewing. The first infusion needs 20 seconds and the latter needs 10 seconds each. 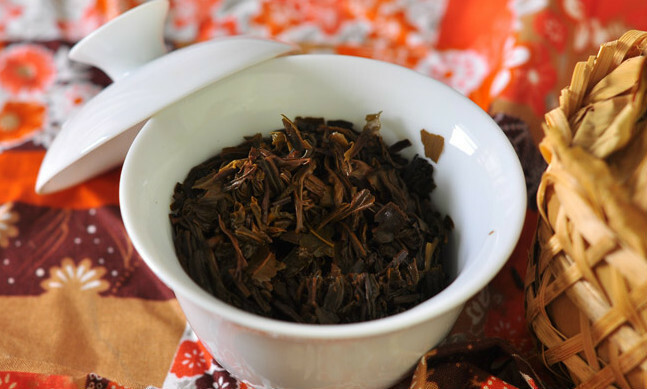 Liu an basket tea benefits your digestion and relief the heat and thirst on hot summer days.